What is the health problem with wireless Smart Meters? 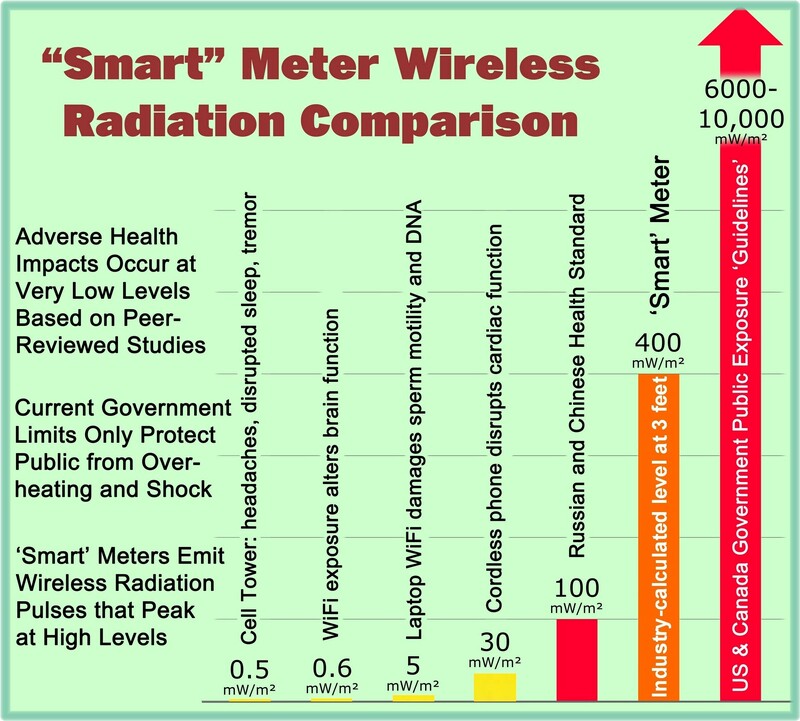 Why don’t Federal regulations protect the public from such high levels of RF radiation? What biological effects does exposure to RF radiation cause? Where can you find analyses of the research literature documenting the biological effects of RF radiation? Are some groups of people at especially high risk of harm from RF radiation? What is the latest disquieting information about the biological effects of RF radiation? What are medical associations saying about RF radiation from Wireless Smart Meters and other wireless devices? Left unattended, will the health problem posed by Wireless Smart Meters get better or worse? Why is there a special urgency to this problem? Why are Wireless Smart Meters a community issue, not just an individual issue? How can the Maryland General Assembly help through legislation? Final Statement by Ronald M. Powell, Ph.D.
 Ronald M. Powell holds a Ph.D. in Applied Physics from Harvard University and has worked for the Executive Office of the President, the National Science Foundation, and the National Institute of Standards and Technology. Other Documents Authored by Ronald M. Powell, Ph.D. This entry was posted in Smart Grid, Smart Meters, and RF Emissions and tagged Health Effects, Maryland, RF Emissions, Smart Meters. Bookmark the permalink. Feb 09, 2015 — https://www.youtube.com/watch?v=HiPBJD-UKUo#t=51 Thank you Pat Rullo and Sebastian Sanzotta for your wonderful radio show and the courage to get the truth out about the issues… Read more about what happened when a smart meter was installed on our home in 2006.